Thanksgiving prayers are important in everyday life because thanksgiving and gratitude shape believers’ attitude towards God, daily life, and circumstances. Prayer, or communication with God, should include thanksgiving. Prayers like this are essential because it aligns Christian’s hearts, minds, and spirits with the heart of God – the loving Father. Christians have innumerable things to be thankful for. As Bible states in 1 Thessalonians 5:18: “In everything give thanks: for this is the will of God in Christ Jesus concerning you”. So say short thanksgiving prayer to our Lord everyday! 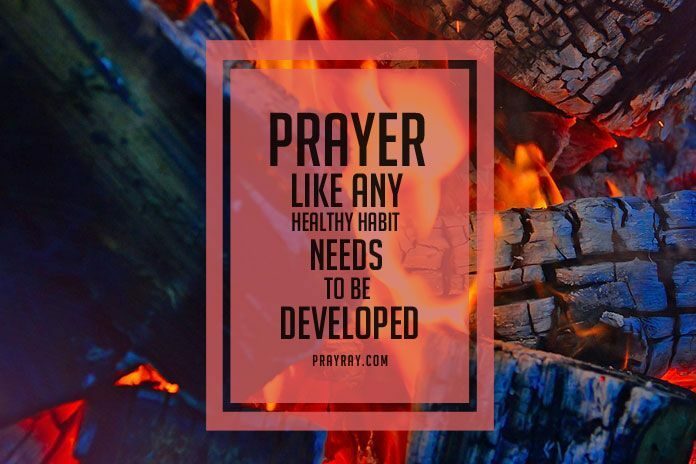 Prayer, like any healthy habit, needs to be developed. Here are seven prayers of thanksgiving – one for each day of the week. Please don’t feel confined to these prayers! These short thanksgiving prayers can be tailored for each individual’s needs. The Word says that God will supply all our needs (Philippians 4:19). On rough days, it is easy to grumble about very small, trivial things. A short thanksgiving prayer can shift a believer’s attitude from grumbling to appreciation! Dear Lord, I want to say thank You for the way You have supplied my needs and the needs of my family. We woke up in a home this morning in a warm and well rested. And we have access to clean drinking water, have plenty of food to eat, and a safe home to stay in. We have clothing and shoes that keep us comfortable and dry. What You have provided is more than sufficient. Please help me to remember that my resources are Yours and help me to be a blessing to others! Amen. It is easy to forget that God watches over His children each and every day. Think about when a careless driver swerves across a lane but doesn’t hit the cars in oncoming traffic. When things like this happen, Christians shouldn’t take it for granted that something worse could’ve happened. But don’t wait until a close call! Remember to thank God for his protection and presence (Deuteronomy 31:6). God, I recognize that You have put a hedge of protection around my family and I. Thank You for watching over us when we are vulnerable (asleep), driving / traveling, and going about our daily activities. I know that Your angels (Matthew 18:10, Psalm 91:11) are watching over us always. Amen. God designed His children to be part of community, of the Body of Christ (1 Corinthians 12:12-30). The first community that individuals belong to is family. (A family can be created through relationships close friends.) Christians belong to a community in the local church which exists to support and strengthen it’s members. It’s important to appreciate the people in our families and churches. Think about the words of a young man who wrote about the other men in his dorm. He said, “I am grateful for the people I don’t get along with because God can use this as a learning opportunity!” God uses uncomfortable things to sharpen and strengthen His children! (Proverbs 27:17). Lord, I want to say how much I appreciate the people You have placed around me – my friends, family, and church. Thank-you for my [family member] has supported me through [situation]. Thank You for the people who challenge me because I am becoming more like You. Help me to love them in the same way that You do. Amen. “For we are his workmanship, having been created in Christ Jesus for good works that God prepared beforehand so we may do them” Ephesians 2:10. When God saves us, we become His children (John 1:12) and are set free from sin and death (Romans 8:2). Salvation gives meaning and purpose – what a powerful gift! God also gives believers gifts to use for His glory. Dear God, I want to give You a heartfelt thank-you for your death on the cross and gift of grace and forgiveness. Because of what You did I am a new person and I am able to live for You. Thank You for the gifts, talents, and resources You have given me because those gifts allow me to advance the kingdom. God, thank You for allowing me to be part of Your family. Thank You for the abilities You have given me that allow me to work and provide for my family. This short thanksgiving prayer ties closely into the prayer for Wednesday (thanks for purpose). Looking at the works that God has done in the past gives Christians confidence that He will do those again in the future. Again, this is a short thanksgiving prayer to tailor for your specific needs! Lord, when I think about the ways You have provided for me and watched over me in the past, I am in awe of Your greatness! I can see examples of Your greatness in the Bible – You healed the sick, gave sight to the blind, and set the captives free. I know that You provided me with [gift, protection] when I was [time, place]. When I look at my life right now, I see [these challenges]. Thank-you in advance for what You will do. You are great and I love you, Lord! Amen. Humans mess up each and every day by letting loved ones’ day. Humans sin. Sin are actions that hurt God’s heart – great and small. The beautiful gift of forgiveness is not something to take lightly (1 John 1:9). Say a prayer of thanksgiving about forgiveness and freedom in Christ. God in heaven, I confess that I have done wrong. I know that my actions hurt You and the people around me. I know that forgiveness is You free gift and You love me extravagantly. Thank-You for You gift of forgiveness because it gives me freedom. Amen. Sunday, a day of rest and refreshment, is a gift from God. Take time today to say “Thank-you” for the rest that God gives. In God, our souls find peace and rest. So pray short thanksgiving prayer on the Day of the Lord. Dear God, Sunday gift You give us because we need rest and refreshment. Thank you that I can attend church and find spiritual nourishment. Thank You that I can set aside the frustrations of work and focus on my family. Thank you that I will be prepared for the challenges ahead. Amen. Prayer is a practice that can benefit us spiritually, mentally, and physically. The prayers in this article focused on thankfulness. Remember, God is always listening and is always with you!